Sup y’all! 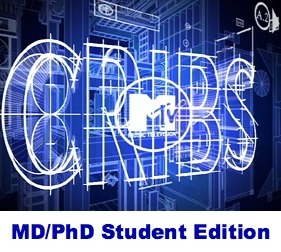 Welcome to the MD/PhD student edition of cribs featuring yours truly! Thought I’d give you a tour of my new apartment here at UIUC so you can get a feel of the place where I will likely spend endless hours studying in the next year. The awesome thing about the building is that there are just three apartments on bottom and three on top with our own private entrances. It’s a nice transition between living in a large apartment building with a front desk and hundreds of other tenants and living in a house on my own. Plus, it’s located just a block from one of the hospitals on campus and just a mile from the medical science and associated buildings where I’ll be spending lots of my time. Well, let’s enter the apartment. Right away, you meet a staircase leading up to my living room. 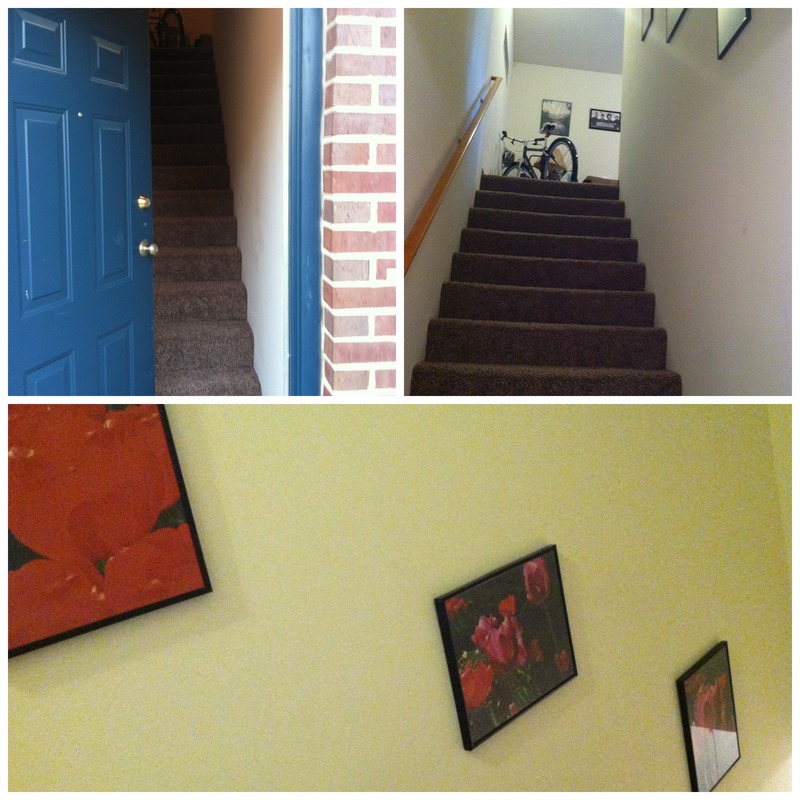 You can see my flower pictures hung along the stairs and my bike at the top. It’s a pretty fun ordeal to get the bike down the stairs, but even more to hold it up a few stairs while trying to open the door. I’m sure I’ll get better at it in time. Now here’s the living room. It has a vaulted ceiling with fan and light in the center. Since I’ve spent the past four years in Minneapolis, I’ve grown accustomed to having a skyline. Unfortunately that is something that Chambana is lacking, so if you notice above the bike, there is a puzzle picture of the New York skyline as my replacement. I also have brought nearly all of the text books that I own as well as many other books to fill my bookshelves. While I have maybe read half of them, they still make me look smart, which is clearly the most important thing. Also, being the mature adult that I am, my pictures mostly require picture frames, but that hasn’t stopped me from letting my obnoxious Minnesotan self be fully expressed on my walls. As my mother says, I will likely make enemies of Illinois fans if I ever have people over. I also have a swell view of some random house’s back yard through my window. Luckily they haven’t been annoying… yet. The living room transitions into the kitchen with a big peninsula, which is perfect for spreading out all of my study materials and is a good replacement for a desk. This is a very important area of the apartment since my paddle from marching band and my coffee maker are both located here. I even have a shelving unit dedicated to coffee-related items just below the peninsula. Oh and I have a pantry, which is pretty dang awesome! Every girl, even if they intend to spend most of their time in a lab, needs a quality bathroom area. While I was concerned about the lack of counter- and cabinet-space when I moved in, I made up for it with my super awesome shelf. 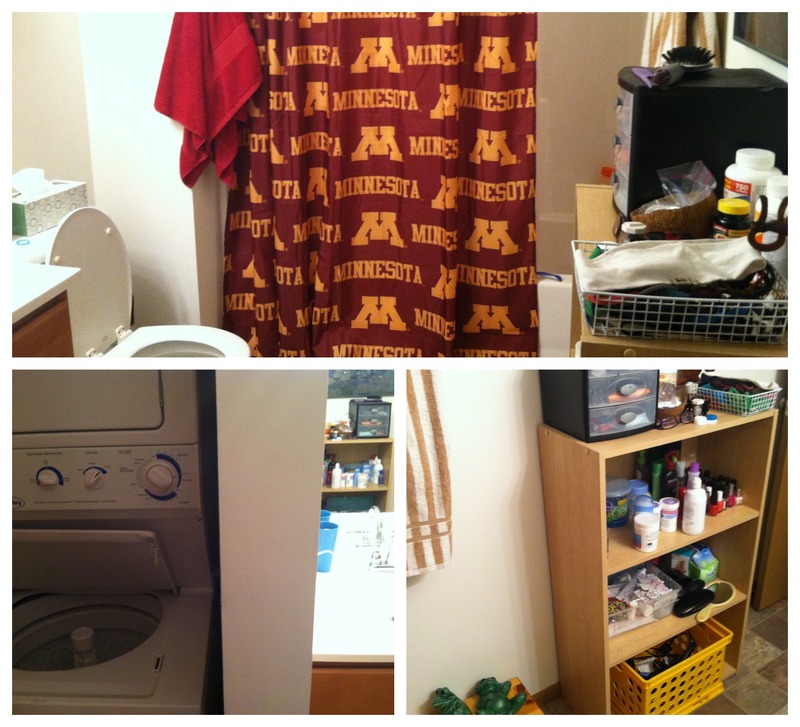 Most importantly, there is a closet with a washer and dryer. Yes that’s right, a WASHER AND DRYER! As someone who has had to pay for laundry the past three years this is one of the glorious things about the whole apartment. And finally, the most important room, the room with all of my clothes and where I may be able to catch a few hours of the ever-so-elusive sleep every now and then, my bedroom. I nearly had a freak out when I saw all of the closets in this place. It was so messy when I toured it in May that I didn’t realize that there wasn’t just one closet in the back corner, but that there was another wide closet along the wall and a linen closet, which is SUPER MEGA AWESOME!!! I no longer have to climb to get into bed as I’ve had a loft/top bunk for the past four years and even better yet it’s a queen size bed! I don’t even know what to do with all of that space! In case you were curious, the super cool cow quilt was made by my grandmother so it is a highly sentimental piece rather than just there because I really like cows or something. And of course I must have an Aragorn poster near my bed as I have for… pretty much ever. Now that he’s framed, he shall be with me forever… Okay, ending the Lord of the Rings weirdness, I also put up a white board in the room for studying in case it would help me to write things out. I wasn’t going to put it on the wall, but then I figured having to stand to use it would help me stay awake and focused. Well that’s the place! 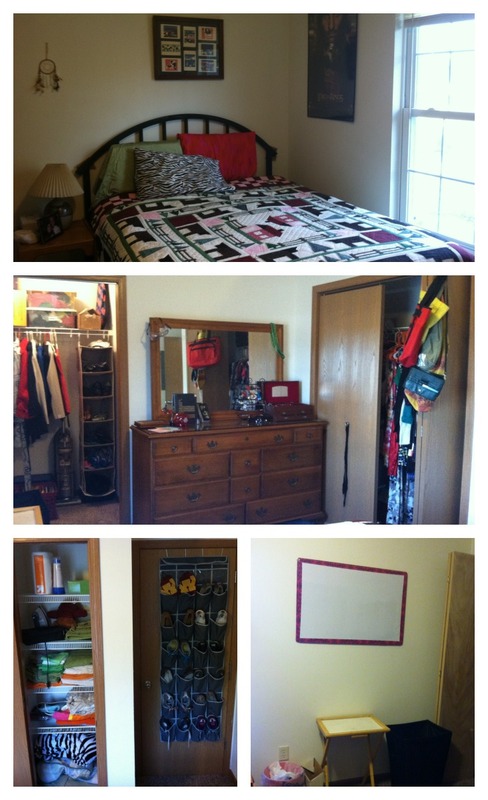 I think it is set up pretty well to help me be a super productive student! After living in dorms and apartments that are just a step up from that for the past four years, I am so fortunate to have my own furniture again and my own space. Surely it would be much more sparse had I not received much of this from my grandparents and I am blessed to have such caring relatives. 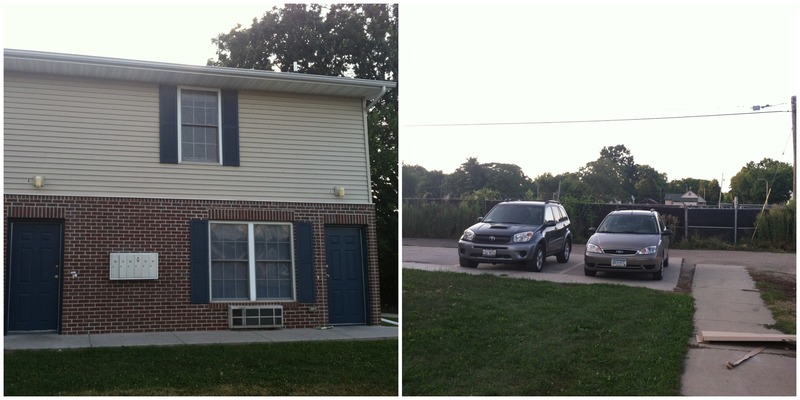 I am looking forward to spending at least the next year in this apartment and getting the rest of my life settled here in Chambana!